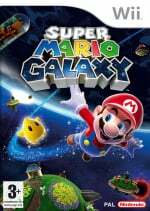 Reported from an after hours press event, IGN.com have quoted the legendary Mario creator, Shigeru Miyamoto, saying that the next Mario installment, Super Mario Galaxy, will not be available at launch. "[Galaxy] is progressing along quite well, but it's often said that when I get involved in a project I upend the tea table. I don't want to promise anything yet. But if it's not a launch title it will definitely be there within the first six months." Gamers across the world be will disappointed with this news, however Zelda & Metroid will both feature at the Wii launch later this year. Shigeru Miyamoto is known to be a perfectionist, so we'd rather he gets something right than release it too early, at least we already have something to look forward to in 2007. To be honest I think its a wise moove to space out all the AAA titles in the launch. Um, I read that as though it could well be a launch title!